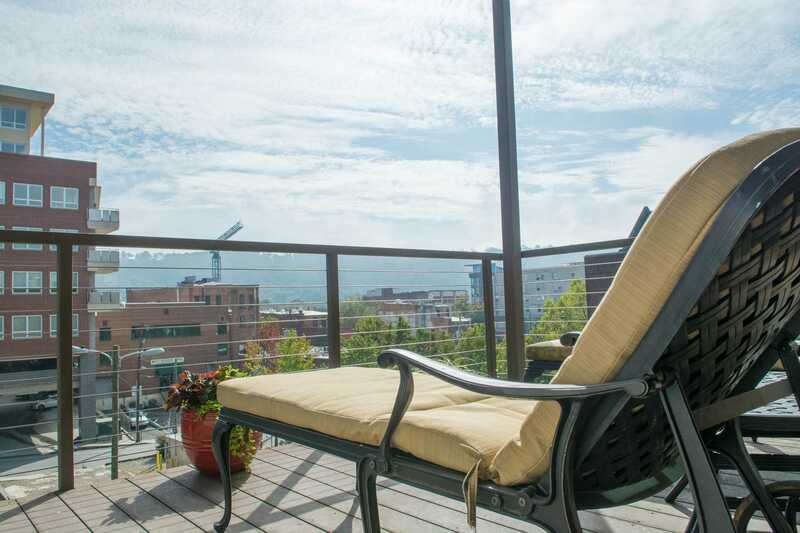 Second Floor Condo with views of downtown Asheville! Ths unit is Pet Friendly! 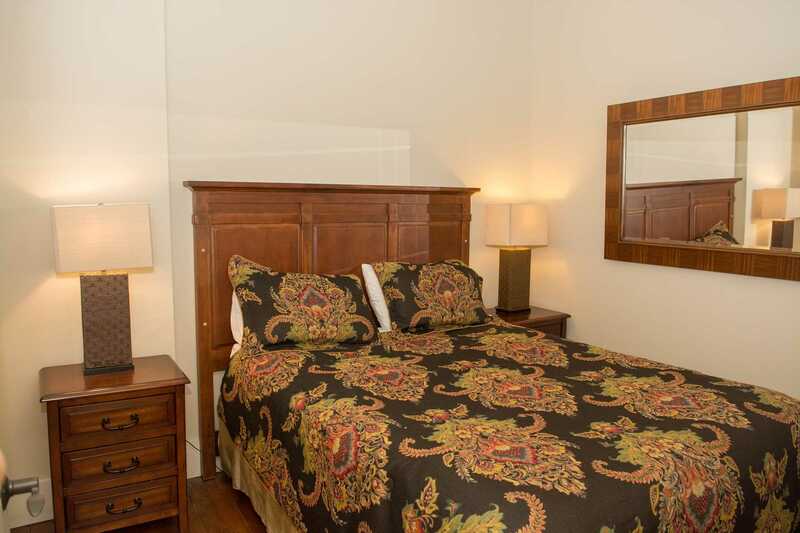 * This second floor condo has one bedroom (queen) and a sleeper sofa (queen). 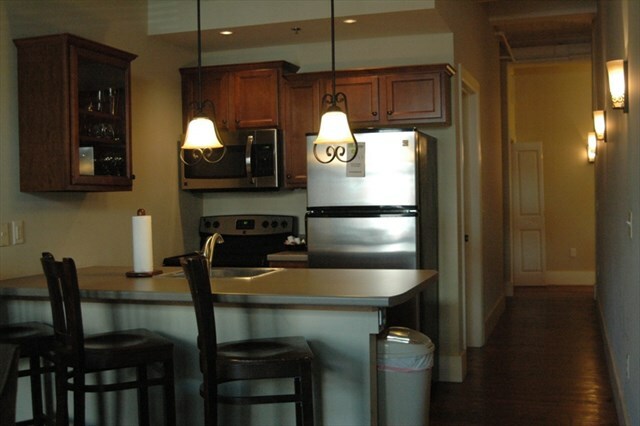 It features a full kitchen/bar area for dining, a large den area, a large deck with unobstructed views of downtown Asheville and Beaucatcher Mountain. 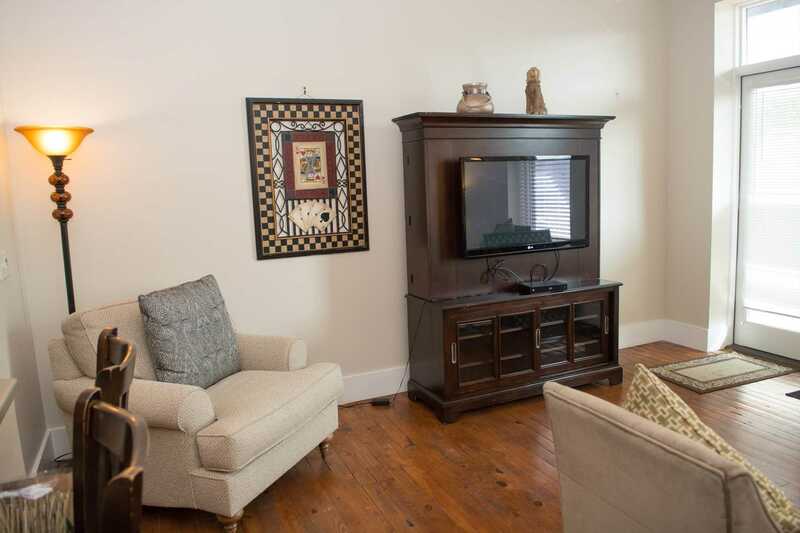 It also includes a washer and dryer. This building has a elevator! *There is a small pet fee. 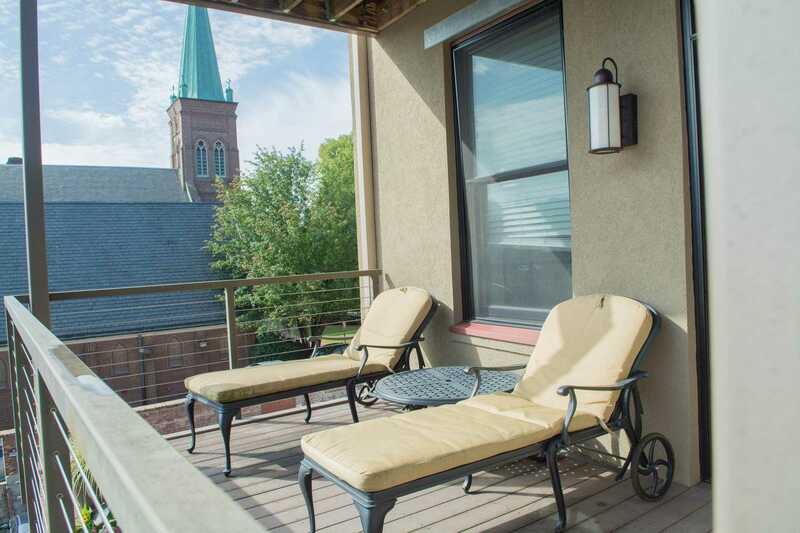 1895 restored historical elements uniquely blended with environmentally safe modern amenities and style The Altamont Condos pay tribute to the past while generously respecting the future! 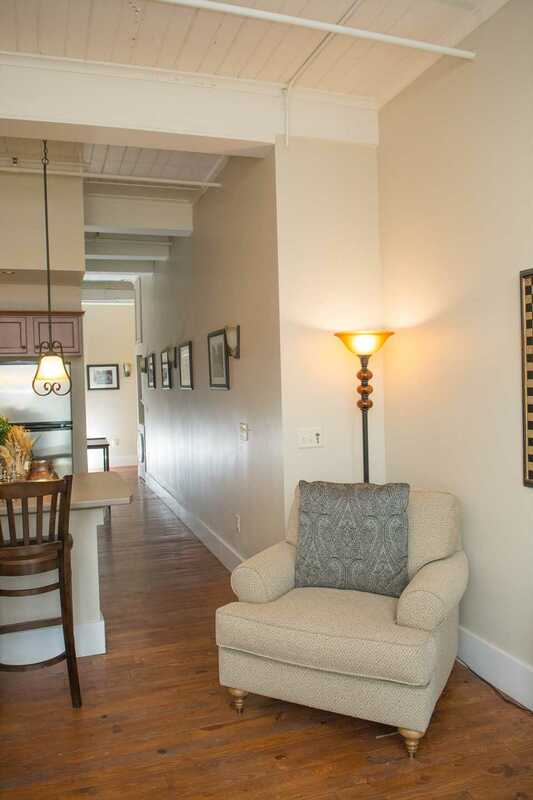 Located in the heart of Downtown Asheville on one of it's most beautiful tree-lined streets this newly renovated structure includes six condos all with full living spaces and kitchens. No need for driving. 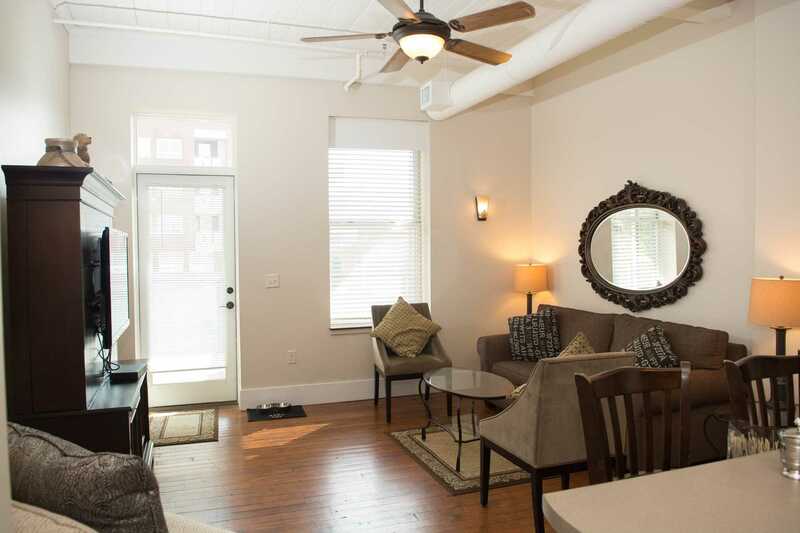 Park your car and walk to all that Asheville has to offer!